Not so long ago we had a little party to celebrate our daughter’s 3rd birthday and my 27th (and a bit…and a bit more) birthday. I had planned on making a load of lovely bunting from some vintage fabric. The fabric I found however wasn’t quite the right colour and I seemed to run out of time to find some more and get sewing. There’s a link from How About Orange to the instructions on the Martha Stewart web site. 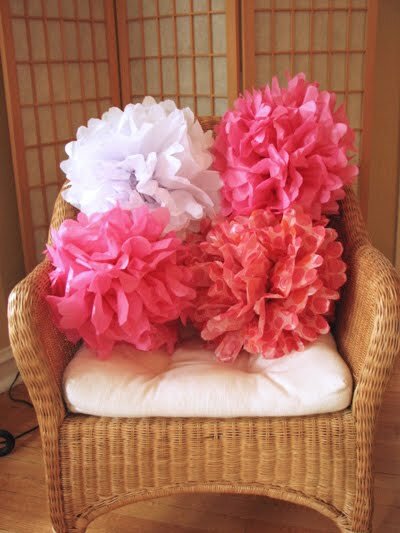 I though the pom poms looked fabulous so I immediately ordered myslef a load of tissue paper in four different colours from ebay and started folding the minute it arrived. 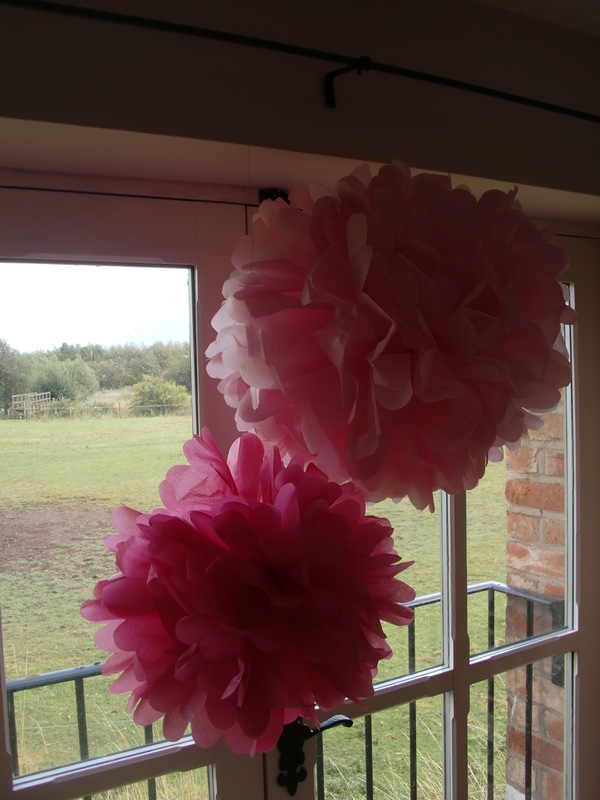 I made three different sizes as a trial….. In the end I made a few of the larger size and a few of medium size.